Among musicians, talent is often genetic. This might also apply to genius, like in the case of Vivi Vassileva. 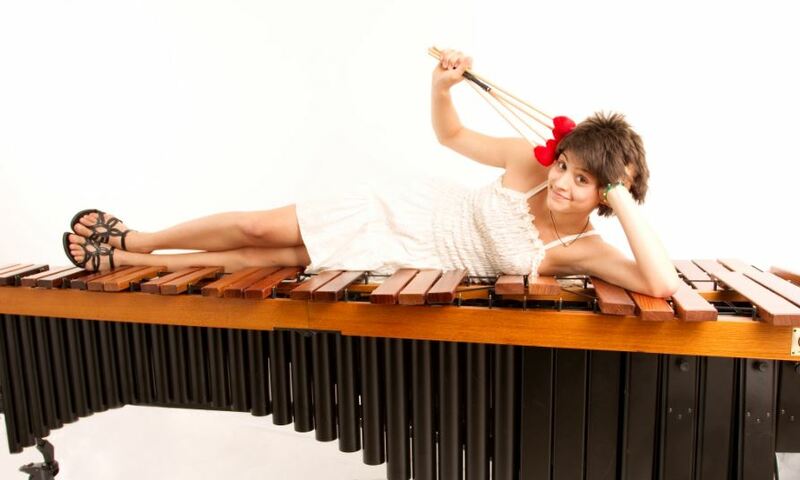 The Bulgarian, who lives in Berlin, is only 23 years old and plays several instruments like a goddess. But this is only part of what this bundle of energy does. She is also a composer and arranger, and she has her own group. Vivi Vassileva was born into a Bulgarian family of musicians. Early on, she began picking up the violin, like her father and her three siblings. But, in addition, she felt like expanding her art using percussion instruments, since those would give her more possibilities and sounds. Equipped with scholarships, she studies at the Academy for Music and Theater in Munich, while hitting stages with several projects. 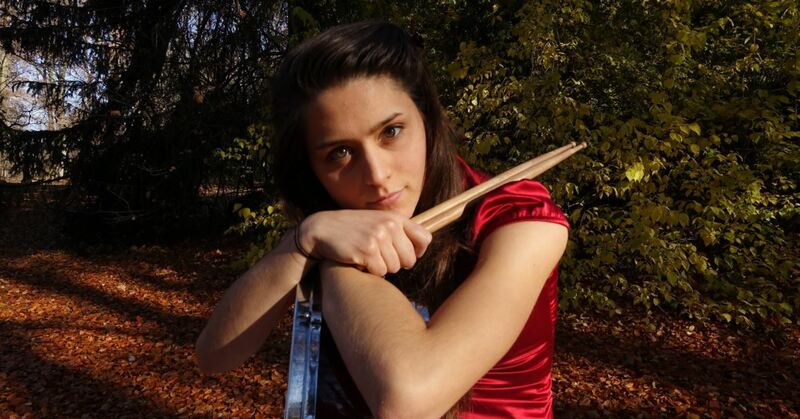 As a drummer, percussionist and vibraphone player, she enthuses lots of audiences and her growing fan base. Simply calling her a musician would not do her justice. On the other hand, the word which would include Vivi Vassileva’s genius and huge amount of creativity has not been invented. Vivi is Vivi. And there is only one Vivi. Even at this young age, she is being drowned in awards, and rightly so. At age 14, she got the prestigious German “Jugend musiziert” award. Today, she delivers a wide range of high quality music, including Classical, Jazz and genres which defy description. While composing and playing, Vivi Vassileva does not forget her Bulgarian-Balkanese roots either. Two years ago, she founded her own quintet. Imanuel Marcus asked her a few questions. The Berlin Spectator: What’s this thing about violins in your family? Vivi Vassileva: My father is a violinist, but also a passionate educator. So he taught all of us, me and my three siblings. Two of them, my brother Vasko and my sister Veronica, are professional violinists. The Berlin Spectator: So, how did you get from violin playing to percussion? Vivi Vassileva: My wish to play instruments grew because of the exemplary function my siblings had. But it was different with drumming. We spend most summers at the Bulgarian Black Sea coast. Once I saw some percussionists at the beach and what they did fascinated me. So, I was courageous and asked them whether I could play with them. That was when it happened: I hopelessly fell in love with percussion instruments. The Berlin Spectator: You do a whole lot, including composing, solo gigs, orchestra gigs, and gigs with your own quintet. I’m sure you like doing everything, but which of all of these activities gives you the most satisfaction? Vivi Vassileva: All of it combined makes me happy. Percussion instruments are very diverse. The same applies to the possibilities they offer. The Berlin Spectator:: German audiences love clapping to 4/4 time. But how about Balkanese 11/8 time tunes? Do those overstrain the Germans? Vivi Vassileva: Not at all. They love that stuff. The Berlin Spectator: You do play in front of Bulgarian and international audiences too. Are there differences, regarding the reactions to your music, depending on whom you are playing for? Vivi Vassileva: Definitely. Even audiences from different cities would react in different ways. Also, the energy and atmosphere are different every time, and I am glad they are. Everyone has his or her own way of reacting. People are moved by different things. The Berlin Spectator: It looks like you perform in Germany a lot. But are you in contact with musicians in your native Bulgaria? Will we be able to see you perform down here, maybe with your quintet? Vivi Vassileva: Thanks to my brother, I have very good contacts with colleagues in Bulgaria, and I do like performing at events such as the Apollonia Festival. Just recently, a friend of mine founded a festival in Plovdiv. I am sure something will be happening down there. The Berlin Spectator: Do you have more possibilities in Germany than you would have had in Bulgaria? Vivi Vassileva: Maybe, regarding the instruments. Most of the time, I have to bring everything from Germany, including my Marimba, my Vibes and drums of all kinds. But that’s normal. Transporting countless percussion instruments is part of the game. The Berlin Spectator: What do Jazz and improvisation mean to you? Is improvisation a central aspect to you? Vivi Vassileva: Absolutely. All big composers, in history and today, were and are excellent improvisers. Improvisation is the moment when new music is being born and develops. It is the first idea, which is still pure at that precious moment. Magazine79: Thanks so much, Vivi! Vivi’s website can be accessed here.